Biomorphic Wall is a large-scale robotic installation that reimagines a seemingly inert architectural element (the wall) as a living, changing membrane. 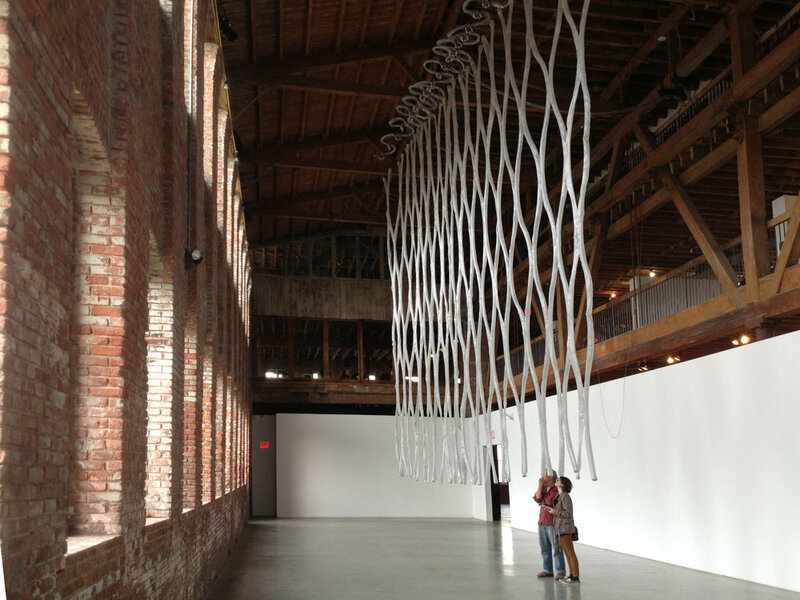 It is composed of numerous high-tensile fabric tubes, 30 feet long, suspended from the ceiling and controlled by a closed-loop pneumatic system. In its dormant state, Biomorphic Wall hangs limp and quiet in the exhibition space. When activated, compressed air begins coursing through the channels of the wall, bringing the breathing robotic architecture to life as it takes on volume and mass. 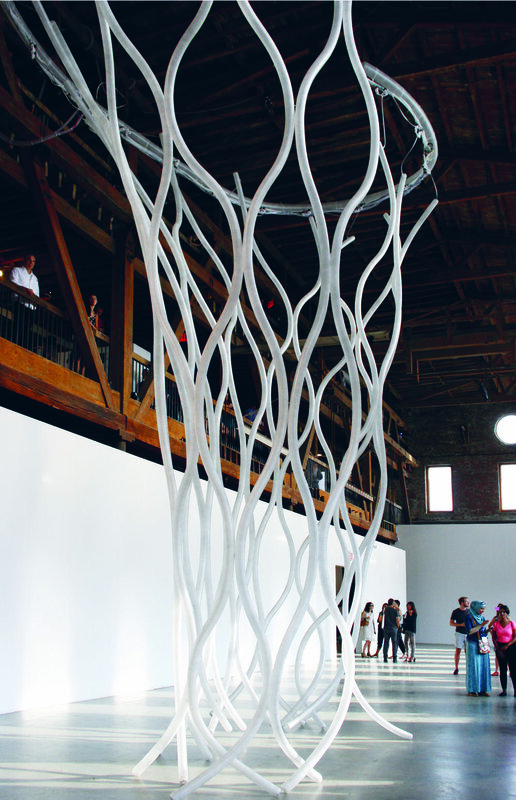 The tubes slowly curve and flex into a wall of movement. 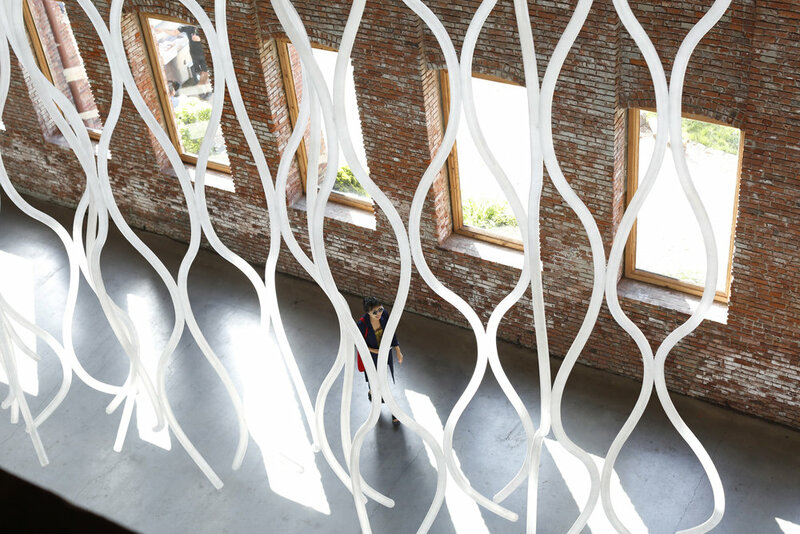 Biomorphic Wall is inspired by the soft architecture of a cell membrane. 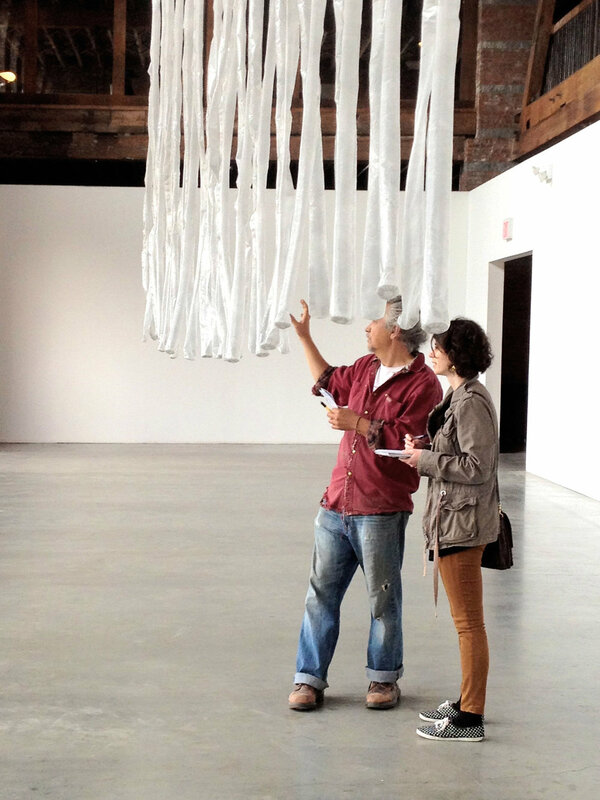 The translucent fabric of the robotic sculpture is firm yet pliable, thin, and permeable to light. Viewers can see through and walk through the wall, but it also forms a definite boundary. As a variable partition in space it creates a temporary inside/outside condition while drawing attention to the vertical dimension and the surrounding architecture. The flexing of the tubes makes visible the movement of air through space, as in the fluid dynamics of osmosis. 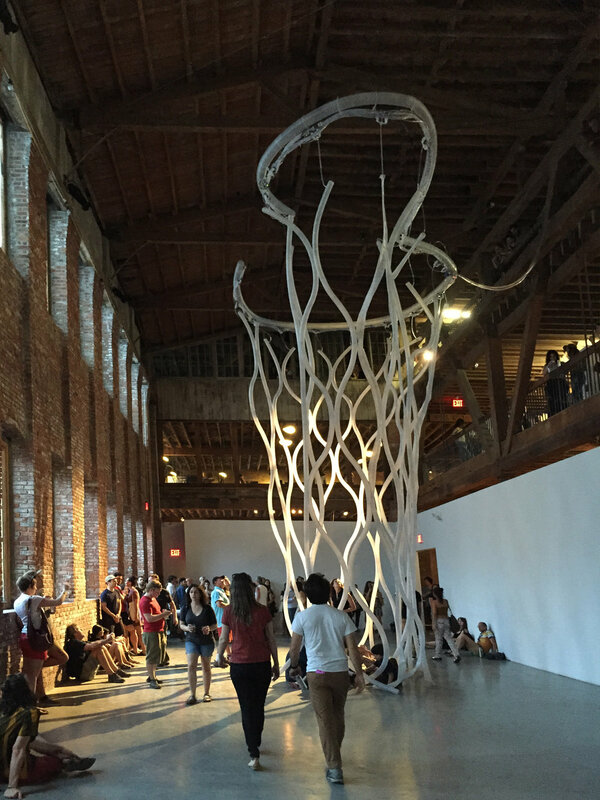 Biomorphic Wall was first shown in May 2015 at Pioneer Works, in Brooklyn, New York. It was initially installed in a linear configuration of 32 fabric tubes to form a dynamic live grid. A second version was installed during the course of the show with 20 tubes arranged in a semicircle, providing a fluctuating enclosure for the audience to enter.